Join St. Louis' own Master Gardeners for tips and trick for St. Louis Gardening. Heirloom vegetables are open-pollinated, non-hybrid plants that have been around for generations. Discover how adding heirloom vegetables to your garden can reward you with flavorful and colorful new produce. Learn how to select, grow using organic methods, and harvest heirloom vegetables. Seed saving will be included. You will plant heirloom seeds in a small pot, which you can take home for transplanting in the spring. Designed for adults only. 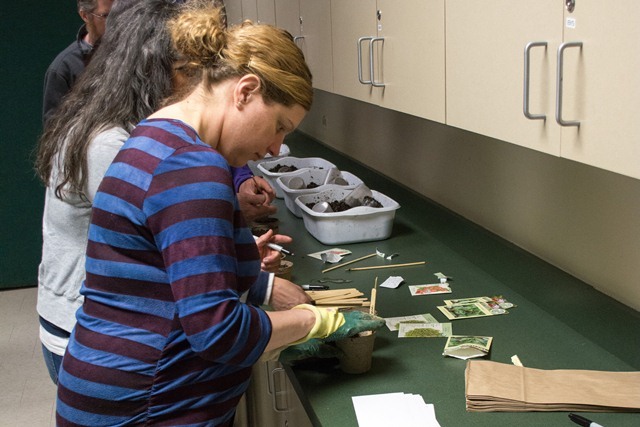 Planting heirloom seeds to transplant in the spring.